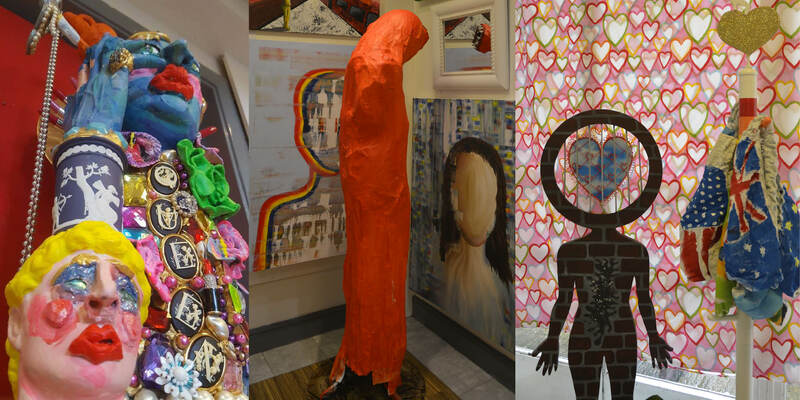 Camden and Islington’s vibrant LGBT+ community will be out in force on Friday 1 February (5.00pm-8.30pm) for the 10th anniversary celebration of one of the UK’s most colourful art exhibitions. The theme of this year’s milestone ‘Loudest Whispers’ art exhibition, hosted by Camden and Islington NHS Foundation Trust at St Pancras Hospital, is ‘Let Art be the Food of Love’. The Mayor of Camden and the Mayor of Islington will be VIP guests at the event, which is part of the nationwide LGBT+ History Month. This year the month focuses on the theme 'Peace, Activism and Reconciliation'. Run by the charity The Arts Project, the Loudest Whispers exhibition has exploded in popularity since its launch a decade ago, and is now a firm fixture on the north London arts calendar, attracting huge crowds from across the capital. It is a chance for LGBT+ artists – both established and amateur - to showcase their work, exploring themes such as identity and life-changing experiences. The Mayors of Camden and Islington will officially open the event at 7pm before a cabaret performance in the main conference centre. The ten year anniversary is testament to the Trust’s firmly-embedded support for the Camden and Islington LGBT+ Forum and the wider LGBT+ community. Peter Herbert, Curator Manager of The Arts Project, said: “We’re very excited to be marking 10 years of Loudest Whispers. Since our launch in 2009, we have represented 326 artists who have had the chance to tell various stories through their art. This year, the exhibition will showcase work from 47 artists, one of whom is Caroline Halliday, whose profound and revealing work is linked to transgender and lesbian feminism.